“The Scottish landscape is my bedrock. 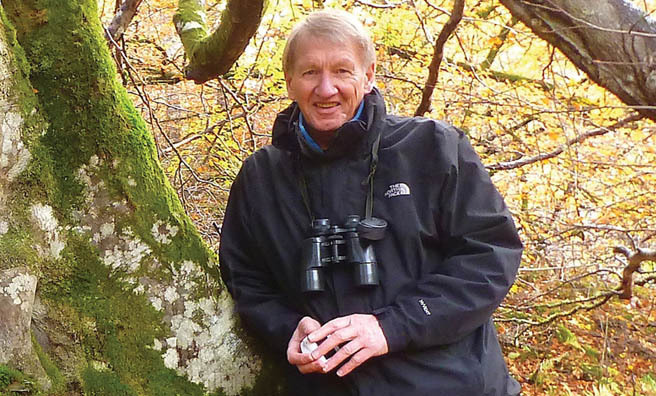 Introducing our Scottish wildlife expert, Jim Crumley. As befitting the position of Scotland’s top nature writer, Jim is never more at home than when sitting alone in the more remote parts of it, immersing himself in his surroundings and listening intently for the calls of the wild – whether a badger’s scuffle in the undergrowth, or an chilling cry from golden eagles, red kites and other birds of prey on the thermals above. 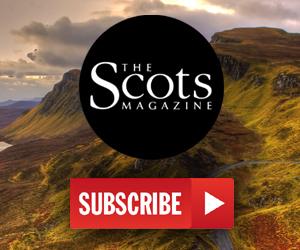 In each issue of The Scots Magazine Jim sings the praises of one of the many birds and beasts that share this landscape with us, and to celebrate his 100th feature for us we’ve put a few of his past features online for a new generation to enjoy. On the link below you can find Jim’s articles on the pine marten, Scottish wildcat, red deer, the mountain hare, red squirrel and more. 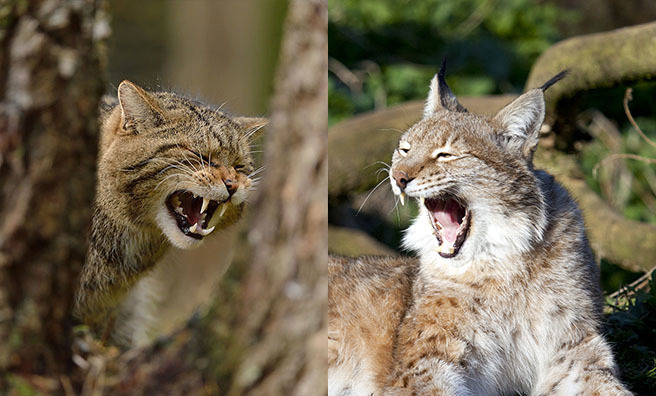 Wildcat vs Lynx: Save one from extinction or reintroduce the other? What was your earliest wildlife experience? Did it happen by chance or had you planned it? Age 3 or 4, in the garden of my parents’ Dundee prefab, watching hundreds of geese flying up from Invergowrie Bay and right over the roof. So not really planned, no. But the sight and sound is still with me. Where and when was the interest sparked off? Right there and then. We lived on the last street in town between the fields across the road and the Balgay Hill. There were the geese, then there was my first skylark’s nest in the fields, then looking for nests in the Balgay. I owe that place everything. The fields are long gone, but the Balgay is intact. And as both my parents and three of my grandparents are buried there, it is still a potent place for me whenever I walk there, which is often. The only organisation of which I am a member is Friends of Balgay. Are you more or less self-taught or did you have a mentor to give you tips, hints and direction? More or less self-taught just about describes it perfectly. My uncle, Stuart Illingworth, was an early influence and gave me my first bird book. And the first thing I ever learned to read for myself in The Courier was Colin Gibson’s Nature Diary. I loved that. Years later, when I started to work in The Courier I met him a few times. It was like meeting Roy of the Rovers! 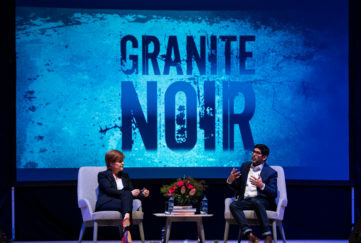 Had working for The Scots Magazine always been an ambition/intent? Yes, certainly for as long as I had been entertaining notions of being a writer (these began seriously when I read Ring of Bright Water, aged about 18). The magazine was always around the house, and I was familiar with it from childhood…Tom Weir’s work in particular! It was always something to aim for. In 100 articles, have you covered almost every species of wildlife in Scotland? I think I’m a long way from having covered every species. I don’t think I’ve written about fish at all, and I’ve barely scratched the surface of butterflies, dragonflies, flowers and trees. Swans, otters and eagles are some of my favourite species, and I do keep returning to them. Which experience has thrilled you the most? 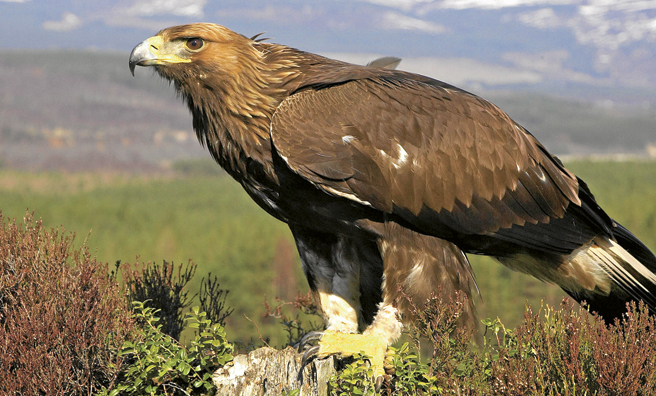 It is difficult to see past golden eagles when I think of being thrilled. In the very first of these articles I wrote about seeing one being mobbed by two ravens which had failed to see the second eagle! It hit one in a vertical dive so that the raven fell to the ground, then it caught the second raven in the air, then went down for the first one, and flew off with a raven in each foot. I have also seen one fly backwards! Do you miss the easy and immediate access to the countryside now that you live in Stirling? I had moved from Stirling to Balquhidder in the first place, and eventually moved back for family reasons. I do miss not being able to open the door and just step out into wild country, a view of mountains in the window, or hearing the sound of the red deer rut or migrating swans drifting in the window at night, that kind of thing. 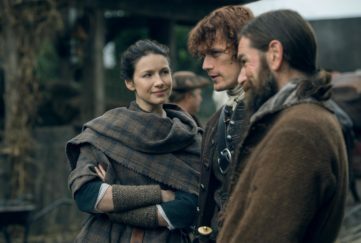 But the Highland Edge, that overlapping of Highland and Lowland landscapes, has always been a fertile zone for my writing, and really I’ve only moved from one side of that Highland Edge to the other. What’s your most reawrding experience in wildlife watching? 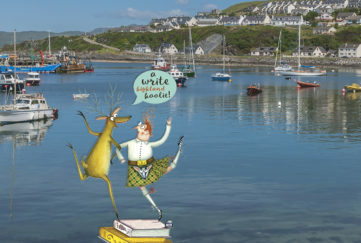 For the better part of 30 years I watched and wrote down the lives of an extraordinary pair of mute swans that nested on a reedy shore of a Highland loch. I became a part of their landscape. Both birds lived to be around 30 years old. I learned so much from them, and from their fellow travellers – the other creatures with which they shared their landscape. They both died within a couple of years of each other, and I could never quite sustain the same pitch of involvement with the birds that succeeded them. I also had three weeks in Alaska courtesy of BBC Radio 4: I got very close to grizzly bears and humpback whales and it changed my nature-writing life. Wildlife never disappoints me. The reaction of some people towards wildlife, however, is a source of many disappointments. Farmers shooting beavers and wrecking their dams on Tayside is just the most recent. Music plays an important part of your life? Is this a nice way of relaxing? I love music, especially jazz (I play a wee bit of jazz guitar), but also classical and folk, and I spent the ’60s trying to be Hank Marvin (it didn’t work out too well). Some of it is relaxation, but I still work quite hard at my guitar playing. What’s your favourite food when out and about? Any culinary delights in your rucksack…? I love venison casserole, in fact venison anything. And I could kill for a good plate of stovies. Seafood if I’m on the coast or the islands; there’s a wee shed at Crail harbour, and a slightly bigger shed at the Oban ferry terminal where the fresh crab rolls are something else. But anyone looking for culinary delights in my rucksack will go home empty handed. Once when I was out alone in Sidlaws as a teenager I met an old boy with a face the same colour as his boots. He asked me if I liked going alone, and did I know about the morale-booster pocket? I said yes, and no. So he showed me the morale-booster pocket in his rucksack – it was full of custard creams. So occasionally I take some custard creams, and sometimes a very small hipflask with a drop of Talisker or Highland Park within, just to drink to the health of the landscape. Ochils, Grampians, Perthshire mountains, Cairngorms? Where’s your favourite haunt? I have favourite moments rather than favourite haunts, but if I had to pin anywhere down, I suppose that over the years I have gone to Skye, Mull and the Speyside Cairngorms more than anywhere else beyond my immediate surroundings. That has never really changed. I like landscapes of grand gestures and these fit that category better than most. If you weren’t nature writing which other profession would you go into? Jazz guitarist, architect, painter maybe (the obstacle in the way of the last two is a serious lack of drawing ability). Lastly what is your maxim in life? I stole it from the American architect Frank Lloyd Wright: I do believe in God but I spell it Nature. 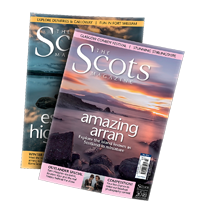 You can read a selection of Jim Crumley’s Scottish wildlife columns online here, and each month in The Scots Magazine.